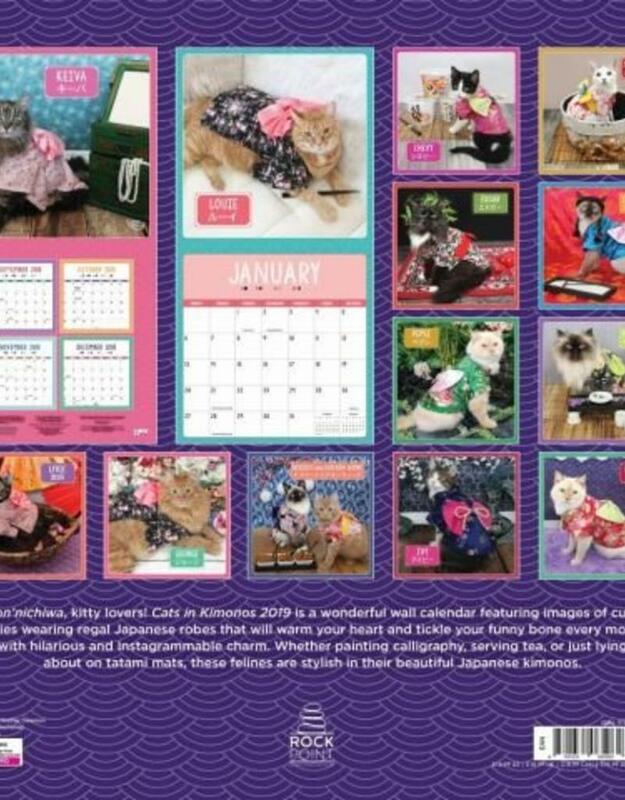 Enjoy a madcap mash-up of dignified and adorable with this 16-month wall calendar featuring cute kitties in regal kimonos. 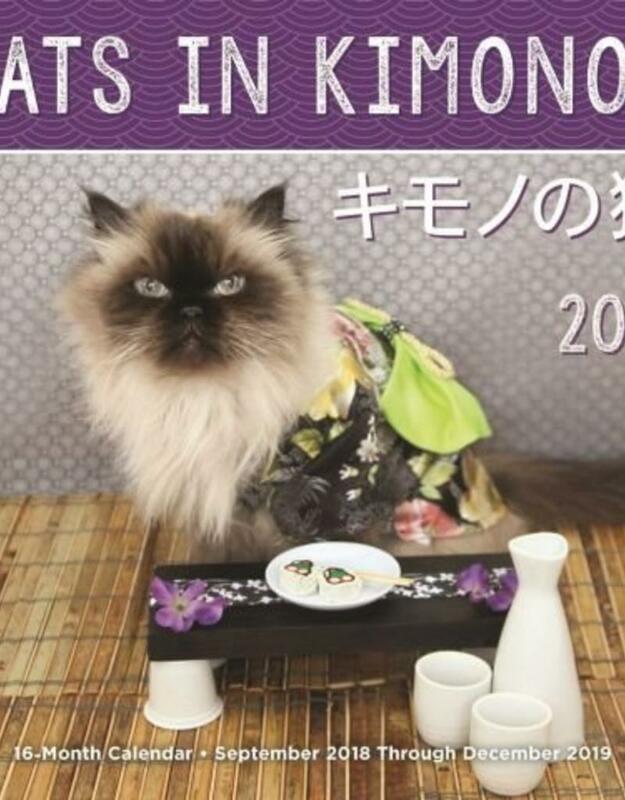 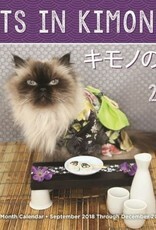 Laugh out loud all year long with Cats In Kimonos 2019! 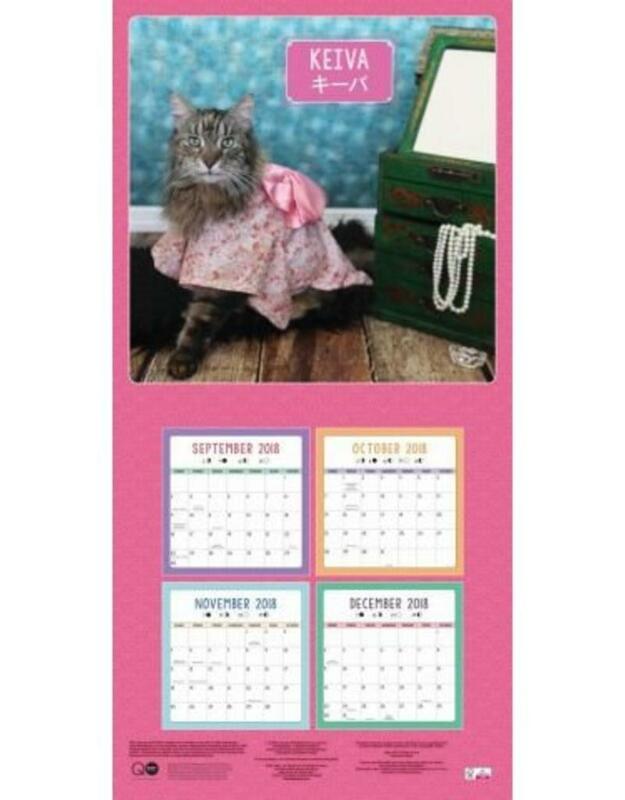 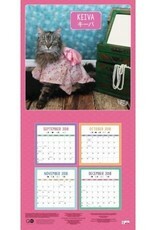 This wonderful wall calendar featuring 13 full-color images of cute kitties wearing regal Japanese robes will warm your heart and tickle your funny bone every month with its hilarious and Instagrammable charm. 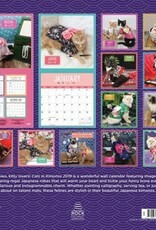 The perfect gift for the mom, daughter, or other cat lover in your life, Cats In Kimonos 2019 is a wonderful way to brighten any month.